A number of people wrongly presume that filing for bankruptcy is like contacting your rich uncle to bail you out of debt. The truth is that the step to file for bankruptcy is taken as a last resort to request for clemency against the debt burden. 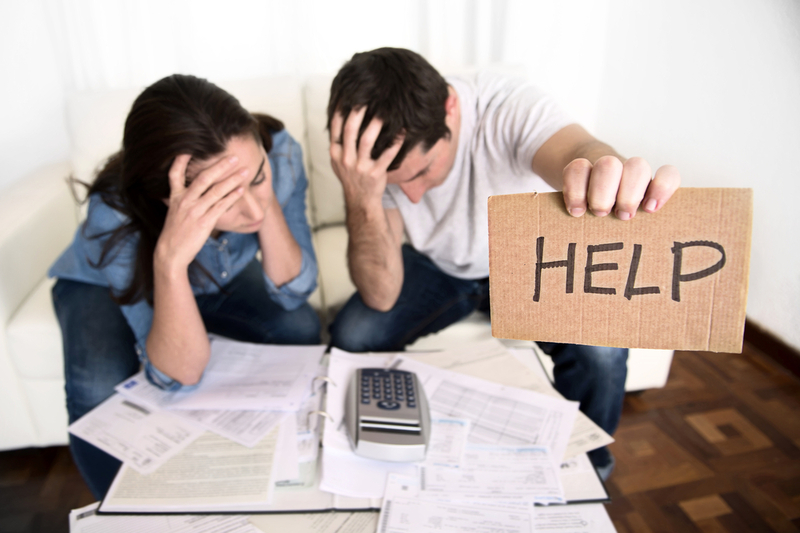 Individuals should file for bankruptcy when they are facing extreme financial difficulties in paying back the debt. When filing for bankruptcy protection there are certain mistakes that you should avoid. Committing these mistakes will make your bankruptcy discharge case less effective or even make you ineligible for getting relief from debt. Following are 5 common mistakes that you should definitely avoid when filing for bankruptcy protection plan. When you are struggling to meet financial obligations, it’s normal to increase credit card usage. However, you should note that certain credit card charges that are incurred about three months (90 days) prior to filing for bankruptcy will not be non-dischargeable. That is why it is important that you inform your bankruptcy attorney about any credit card activity when your case is being prepared for bankruptcy. You should avoid filing for bankruptcy when you have a significant tax refund pending. The reason is that tax refunds except Earned Income Credit are treated similar to cash in the bank. If you file for bankruptcy protection when you have a significant tax refund pending, it may be used to repay the debts. It’s therefore advisable to wait until you receive the refund before filing for bankruptcy. Another mistake that you should avoid when filing for bankruptcy protection plan is not listing all the creditors. You will be personally liable for debts owed to creditors who are not listed in the bankruptcy petition. Even if the creditor has agreed to extend the debt repayment period, it’s important that you list them when filing for bankruptcy. You are not allowed to transfer funds to relatives or friends when filing for bankruptcy protection. Any fund that is transferred in anticipation of bankruptcy can be treated as preference and may be taken back by the trustee. You must not make the mistake of withholding information from your attorney when filing for bankruptcy. It’s vital that you disclose all information relating to your case. Concealing information apropos your bankruptcy case is not only dishonest but may also be illegal. Filing for bankruptcy protection requires a lot of paperwork and conforming to legal regulations. You can contact the experienced bankruptcy lawyers at Walker Law Firm if you are planning to file for a bankruptcy protection plan in West Palm Beach, FL. There are various factors that determine whether filing for bankruptcy will be the right choice for you. The Walker Law Firm can assist you with your bankruptcy cases. You can find out more about our local West Palm Beach bankruptcy attorneys by visiting www.WalkerLaw.net .